Exactly one year ago I was in Chicago attending an environmental history conference and receiving an award for my first book, when some shocking news attracted my attention. 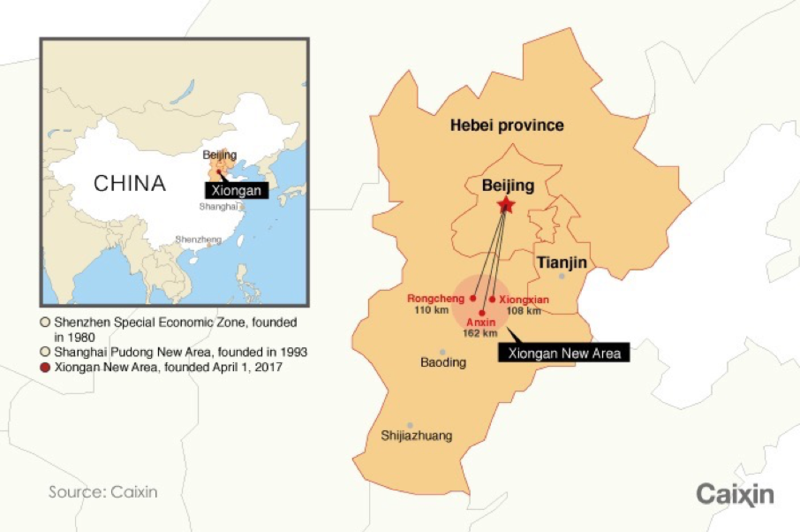 On the other side of the planet, the Central Committee of the Communist Party and the State Council of China had just announced a decision to establish a “Xiong’an New Area” in Hebei province. Such dramatic rhetoric signalled an unusual and historic move in state politics. What is this Xiong’an New Area? How will it promote China’s future over the next thousand years? And why did the state make this strategic move? As China and the world scrambled for answers, I found myself thinking: How ironic history is! Xiong’an is the same region explored in my book. 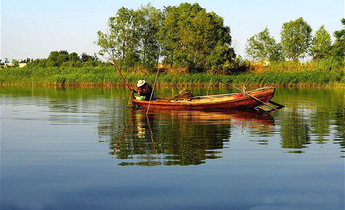 A thousand years ago, the Northern Song Dynasty (960-1127) ordered that water be channelled into the region so that it could function as a military defence zone. Doing so produced floods that drowned farms, displaced residents, and created a series of ponds, ditches, and swamps. The large-scale environmental transformation, designed and performed by the state for its political and military purposes, led to environmental degradation, poverty, and human suffering during the following ten centuries. Prior to April 1, 2017, Xiong’an was one of the poorest and most forgotten regions in the country. Its young residents generally leave the waterlogged area for a better life. Now, after being neglected for a millennium, Xiong’an has been designated a hub of the future. Located a hundred kilometres south of Beijing, it will serve as a core region to ease pressure on the growing capital, performing its various economic, cultural, and societal functions. The Cinderella of China’s geo-economic hierarchy, Xiong’an is now promised royal treatment. 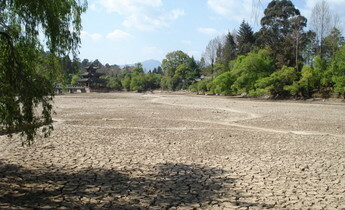 Its unwanted water will be drained; its sinking land restored. Skyscrapers and highways will be built, and high-tech companies will compete for space. Both blue-collar and highly educated workers will stream in. Granted unprecedented policy support and financial subsidies, the region will become China’s new megacity, we are told. 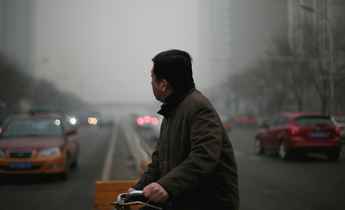 As the government envisages it, Xiong’an will be green, energy saving, and ecologically sustainable, serving as a model for the “ecological civilisation” that the Chinese government champions to build for the twenty first century. At first glance the damaged old Xiong’an and the promising new Xiong’an seem to have nothing in common. Yet, juxtaposing the region’s past and future, I see more commonality than difference in the ways Xiong’an has been treated. Under the banner of the greater good, in both instances, the state demands sacrifice by a locale, region, or human community. Displacement and environmental damage have been justified as an unfortunate means for attaining wider stability and prosperity. 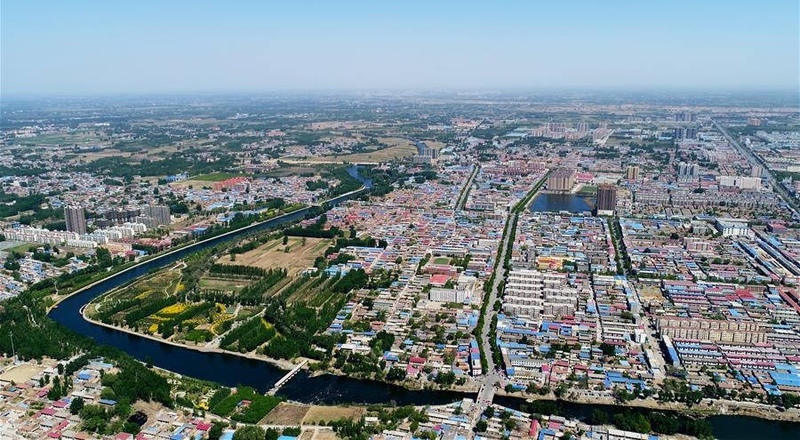 State logic that a thousand years ago turned the farmland in Xiong’an into waterlogged swamps, today, aims to transform its swamps into an urban wonderland. A thousand years ago, the Northern Song dynasty took Xiong’an as its northern frontier against the nomads, the Khitan. 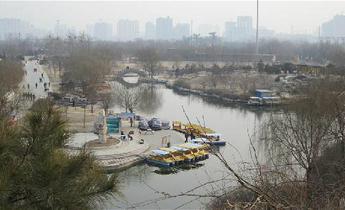 During the same period, China’s second largest river, the Yellow River, frequently flooded south, where the state’s capital was located. 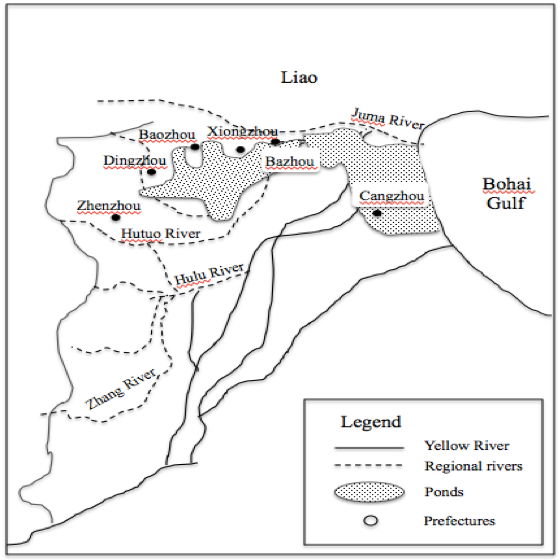 To guard its core interests, the state spent several decades building a hydraulic system to force the river northward, thereby relocating the disaster zone to the already impoverished frontier region. Forward to 2017. Immediately after the announcement of the Xiong’an New Area, real estate investors flooded into the region. Within days, local housing prices doubled or tripled. As the government hastened to control housing speculation, Xiong’an’s own sons and daughters who had left the region struggled to return and place their claim on local property. Leading universities, hospitals, non-governmental institutions, and companies competed with each other to sign “collaboration” agreements and land leases with local offices. Amidst all this, environmentalists have tried, mostly in vain, to voice concern about matters like wetlands, waste treatment and resources. 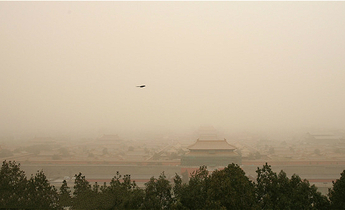 Knowing what happened to Xiong’an a thousand years ago, I wonder how its modern transformation will play out. For the megacity to emerge, who will have to make sacrifices and bear the costs? What kind of future will China produce for Xiong’an and itself over the next thousand years?